THE WRITING BUDDHA - Opinions | Books | Movies: The Suicide Diary by Hari Prasad (Book Review- 4.25*/5) !!! 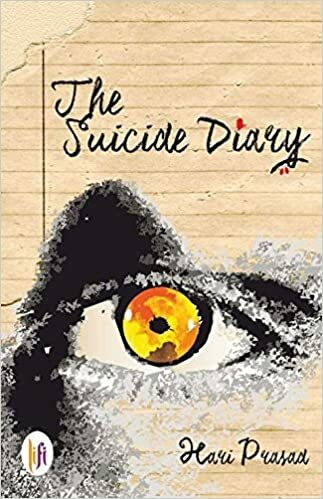 The Suicide Diary by Hari Prasad (Book Review- 4.25*/5) !!! I am done reading 49th book in 2015 just yesterday. Just one away from 50th and I am happy that I got my hands upon a book which really excited the reader in me. I read "The Suicide Diary" written by Hari Prasad and published by Lifi publication. Frankly speaking, I didn't have expectation from the book and I thought it would be just another tale of how a man didn't get the attention from the love of his life and ended up writing an over emotional and psychotic suicide letter full of childish romance and SMSes shared between the couple. But when I got an idea about the intention with which author have scribbled this book after few pages, I was amazed and my reading speed accelerated. Now as I am done with the book, I can definitely say that it's one of the best books I have read this year and I wish that people get to know about it so that it gets at least close to being Bestseller if fails to touch that mark. The book is about this protagonist who is always humiliated by everyone in life just because he couldn't get along with people and whenever he tries to strike a conversation, he ends up humiliating himself more than before. No one acknowledges his presence and people just end up ditching him or misusing his trust and loyalty. The book starts with his wrong equation with his boss and then moves ahead towards his wife and so on. After a while he feels that it's enough and he should commit suicide as he can't bear more humiliation. But he gives himself chance of few more days and then leave the world. What he does in these days is what this book is all about. The way Hari Prasad have handled this sensitive topic in his debut novel itself speaks about the great amount of talent he has. The book belongs in the genre- Fiction/Thrillers/Crime and author have beautifully dealt with it. The kind of words and sentences he have used to explain the philosophy of his protagonist and the way his thoughts develop regarding a particular person or situation is an amazing experience for a reader to witness. The depth in the emotions and thought process of the protagonist makes this book a special one. Even the violence is narrated so well that you can imagine everything happening in front of your eyes and feeling bad about the people turning out to be a victim of it. Even the twist of video leak at one point of time shivers you thinking about the kind of harsh step the character takes. His chemistry with a prostitute is also depicted so perfectly that you only wish to meet the author and tell him how wonderful he is. Coming to the drawbacks: I felt that the over-description of few scenes or emotions irritates you at times because there's not much for which the author kept digging. The book becomes repetitive at times. I feel that the book could have been easily 30-40 pages shorter but author chose to stretch it to give whatever he has as an author in this book itself. But overall, the book is something which every reader who have been reading Indian authors should read and not miss. I would like to specially mention the last conversation between the protagonist and his wife. The last words that he speaks on phone to her will make you feel so happy for reading this book that you will thank me later. :-) I will give this attempt- 4.25* out of 5. GO FOR IT!! !